Contact us at 732-494-0405 to pay by check or if you are tax exempt. THIS REPORT SERVICE provides insights and information on finished lubricant prices and an in-depth analysis of the cost drivers responsible for the changes in lubricant costs and prices in the US market. 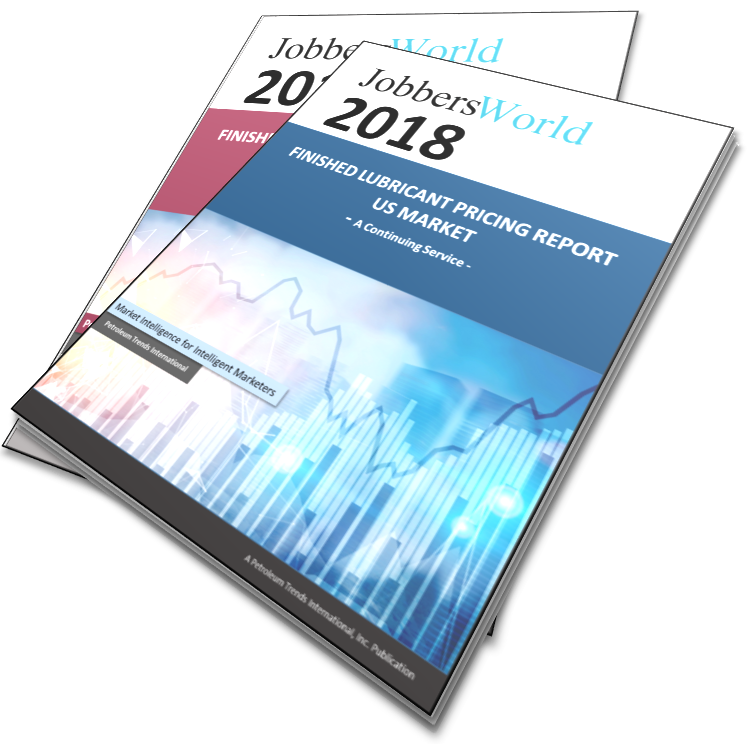 This is the first in a continuing series of JobbersWorld reports on lubricant pricing. The annual report comprises an estimated 50 pages of text, tables, and graphs detailing finished lubricant price changes at the manufacturer level, cost drivers, stickiness of price increases, and retail prices. Semiannual reports comprising an estimated 20 pages each of insights and information on finished lubricant price changes at the manufacturer level, cost drivers, and retailing pricing from January through June, and July through December. Available no later than July 2018 and January 2019, respectively. Understanding changes in price and cost can come at any time and the importance of providing this information and an analysis of the drivers to manufacturers and marketers in a timely manner, the report service includes periodic updates. The updates will be provided during periods of lubricant price instability. See brochure below (click full screen to enlarge).